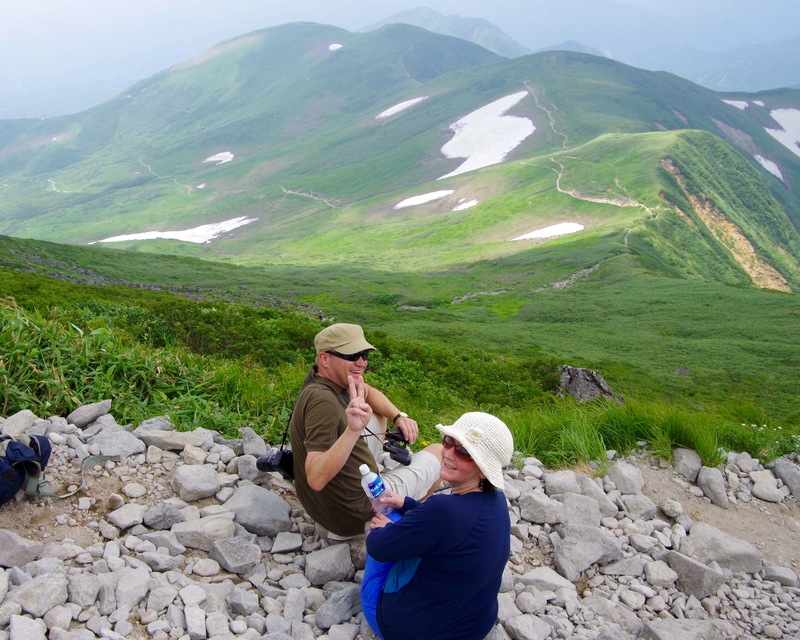 On this tour you will hike up Gassan which is a 1984 meter high mountain and then hike down to Yudonosan shrine. You will walk about 3-4 hours each day. 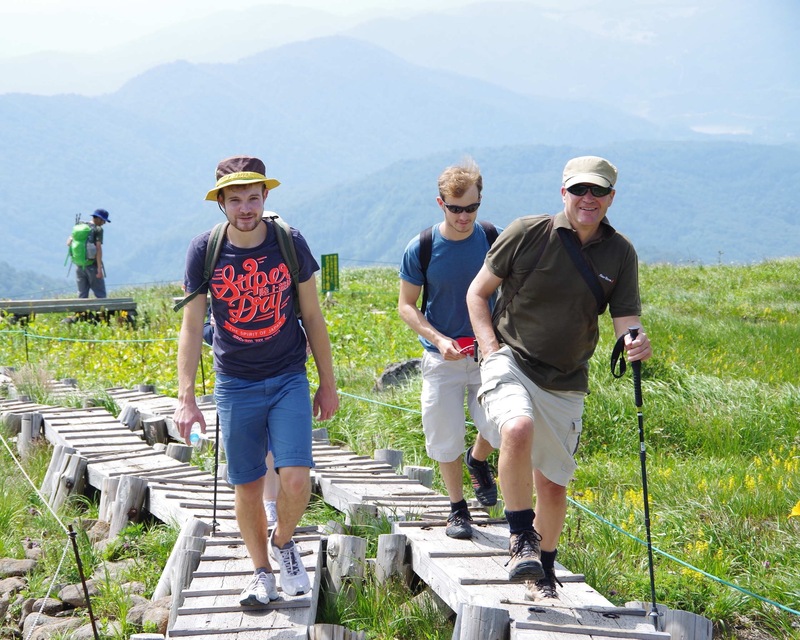 This tour is suitable for people who are able to walk for 2-3 consecutive hours on flat level ground.  On the 1st day you will check in at PolePole and prepare for hiking the next day. On the 2nd day you will take a lift from Ubasawaguchi. This lift will take you up to 1400 meters. From there you will start hiking. Along the way we will walk through a valley that summer has forgotten. 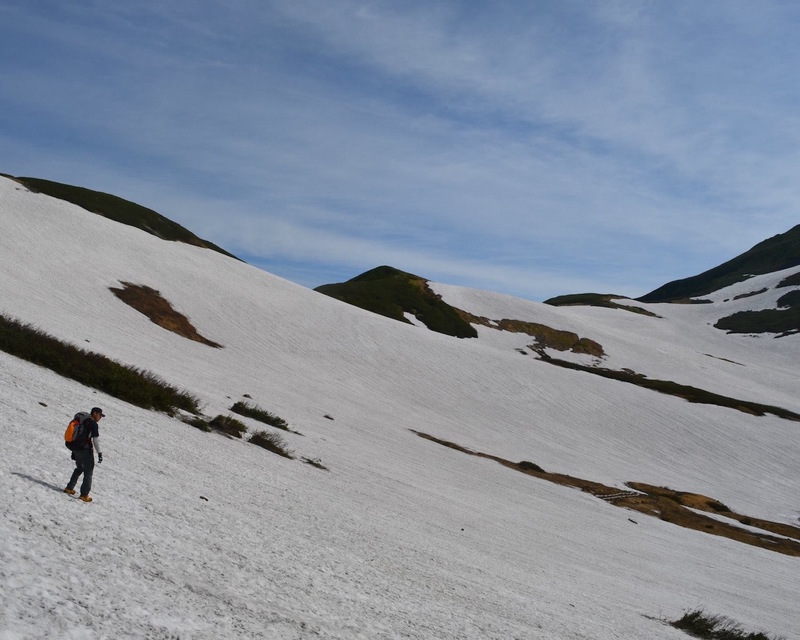 Even in August there still will be a little snow left in the valley. We will take a hiking path almost all the way up. After September 15th you will be able to enjoy seeing colorful autumn leaves. 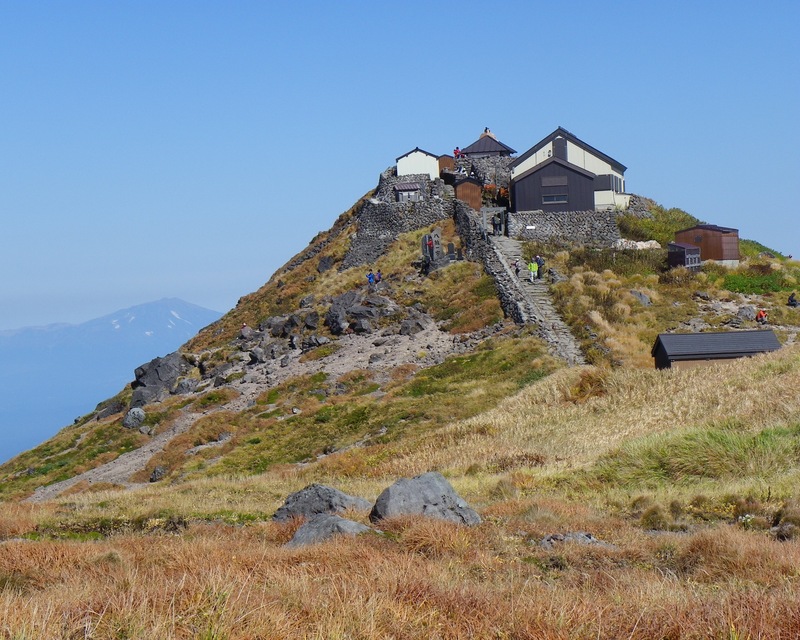 You will stay a night in a mountain hut on the summit of Gassan, at 1984 meters. 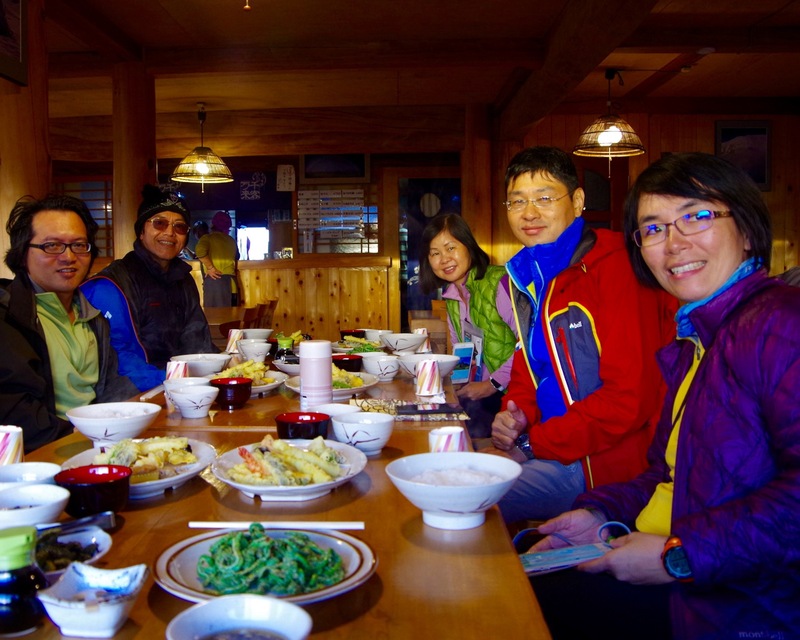 Even at this extreme location the hut is famous for preparing really good food, you will not be disappointed. 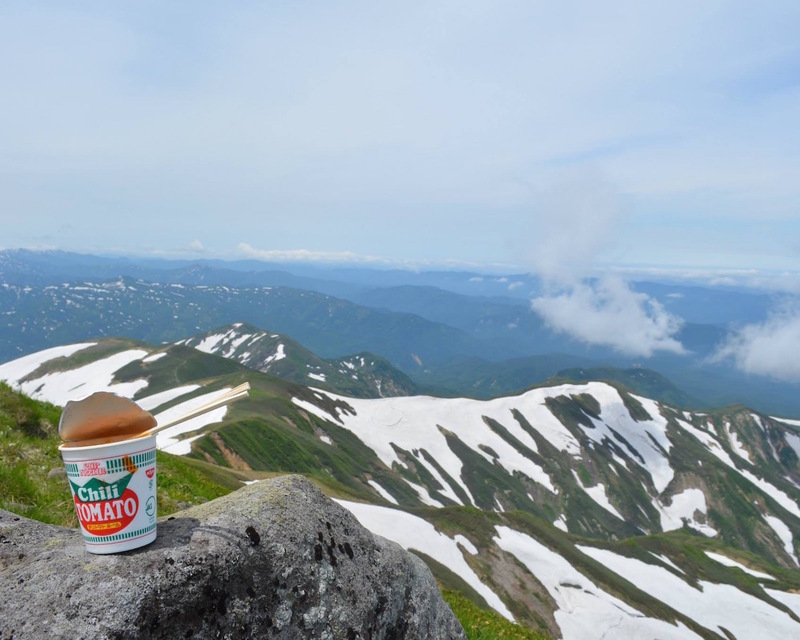 If the sky is clear at night you will be able to enjoy a spectacular view of millions of stars and the night view of Yamagata. 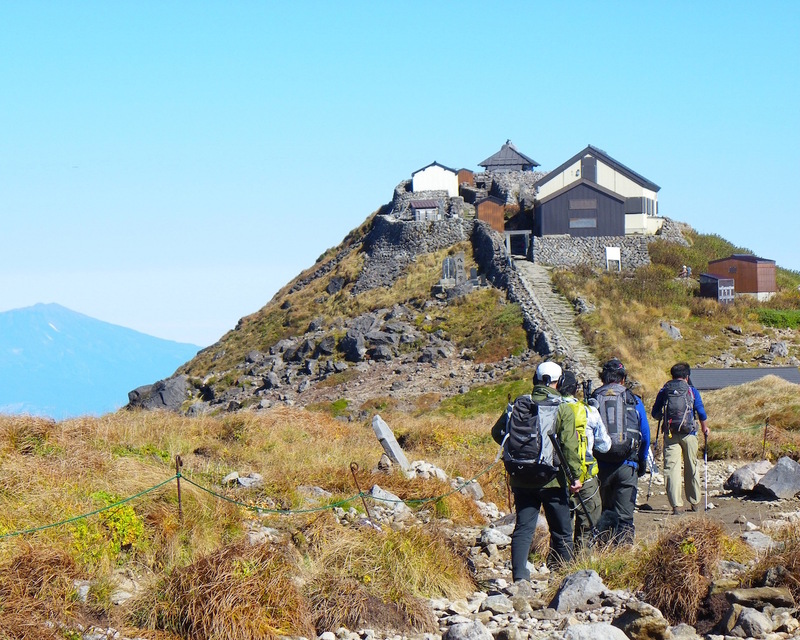 On the 3rd day you will leave the hut very early in the morning and hike to Yudonosan Shrine. On the way there we will encounter a few steep sections where we will have to use ladders. When you enter Yudonosan Shrine, you will have to take off your socks and shoes. There you will climb up a huge mysterious boulder from which hot water gushes out. The boulder is considered very sacred and many people make pilgrimages here. At this shrine there is alsoa natural hot spring where you can soak your feet in the water. After hiking for 2 days soaking your feet will be a welcomed reward. 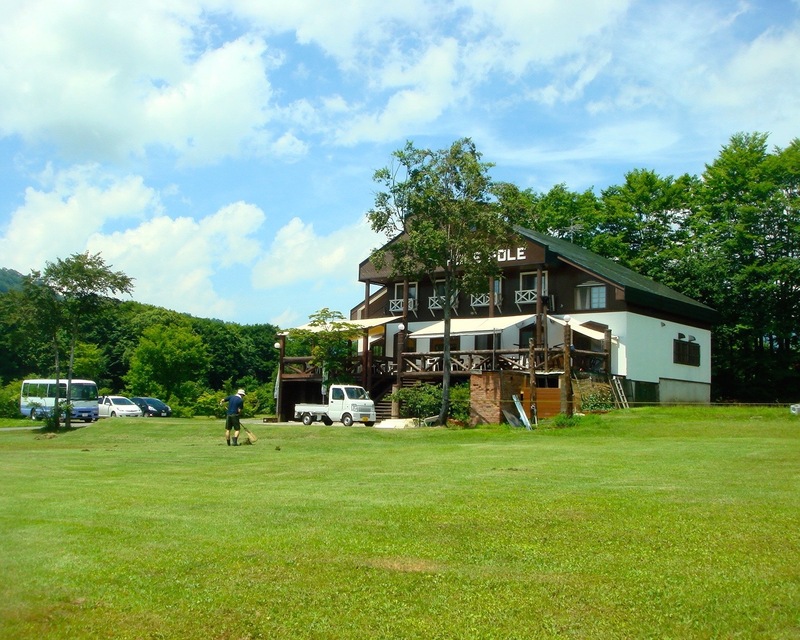 After that we will take you to Yamagata Station. 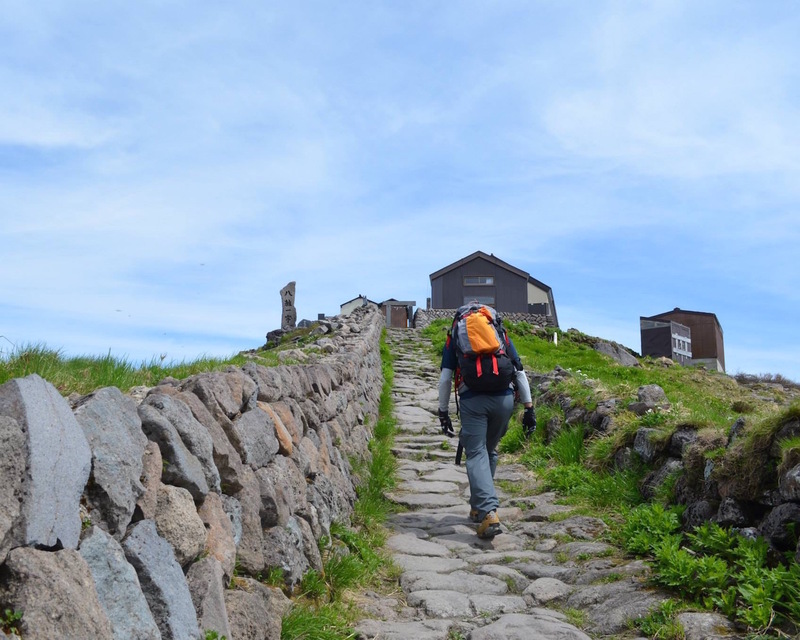 This tour is only available for people who can walk at least 2-3 hours on level ground. Please arrive by 13:50 PM for a prompt departure at 14:00 AM. 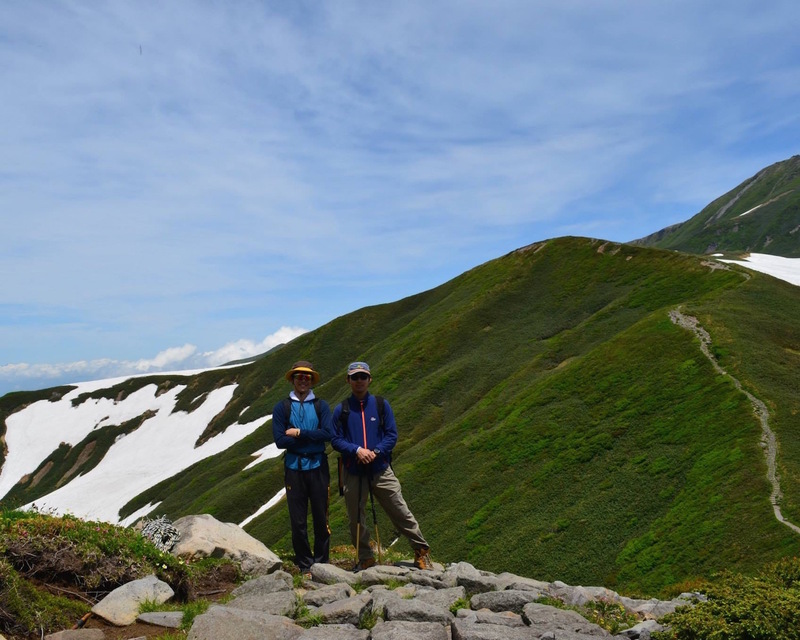 Climb Mt.Gassan, stay mountain hut, visit Yudono-san shrine. 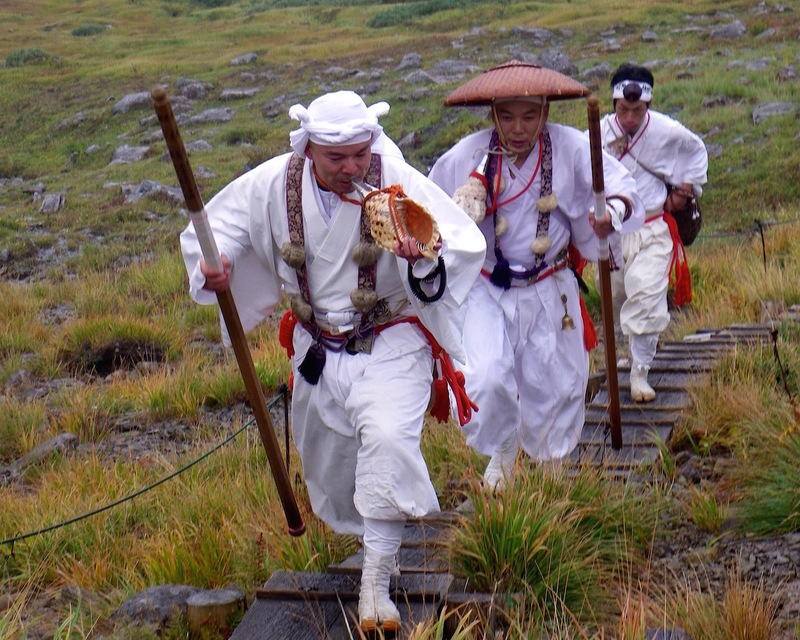 Gas-san is the highest of the three mountains of Dewa Sanzan. Its mountaintop shrine lies 1984 meters above sea level, is closed for the majority of the year due to heavy snowfall and is inaccessible by road. Only the summer months see hundreds of pilgrims and tourists hiking up to this impressive shrine. 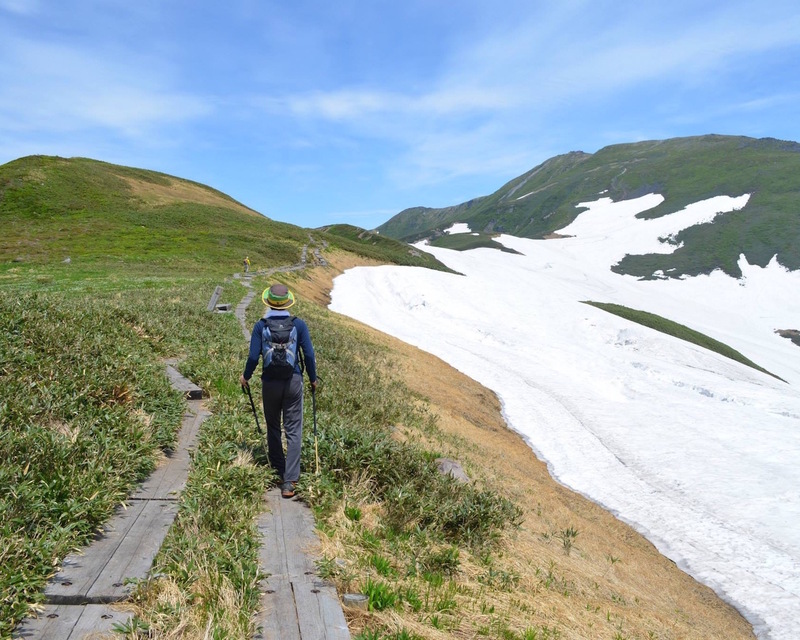 The hiking trail leading up to Gas-san's peak passes through marshland, wild alpine flower fields and patches of snow, even in midsummer. While not particularly steep, the rocky, treeless trail can be challenging due to its exposure. Rain makes the rocks slippery and there is no protection from either strong wind or sun. However, the absence of tree cover allows hikers to fully enjoy the spectacular mountain scenery during their 2.5 to 3 hour ascent. Rest stations at the top and in the middle of the trail sell water and provide some opportunity to rest alongside fellow walkers. 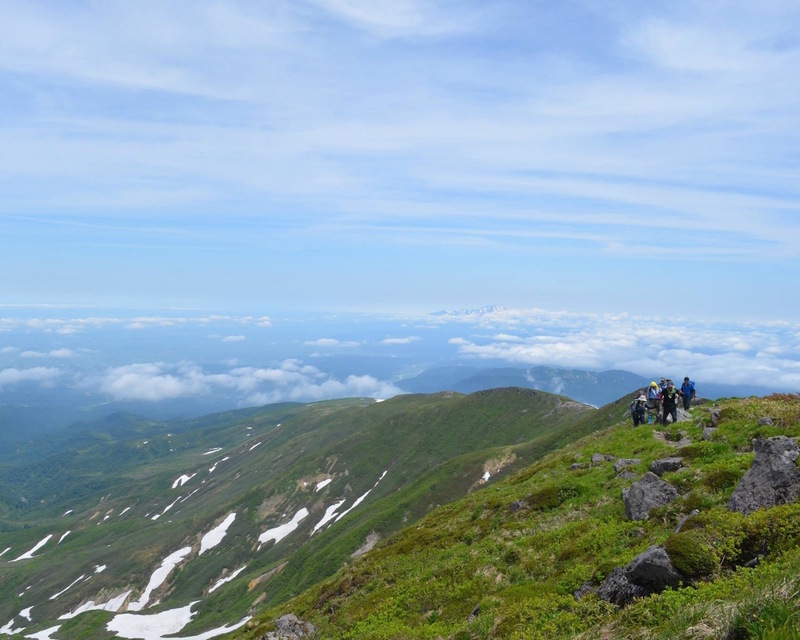 The trail, which descends from Gas-san's summit to Yudono-san, is steeper and more challenging. The descent takes about 2.5 hours. Unlike most other shrines in Japan, Gas-san Shrine requires all visitors to participate in a short purification rite at the entrance. Priests are accustomed to non-Japanese speakers and offer guidance through the purification process. 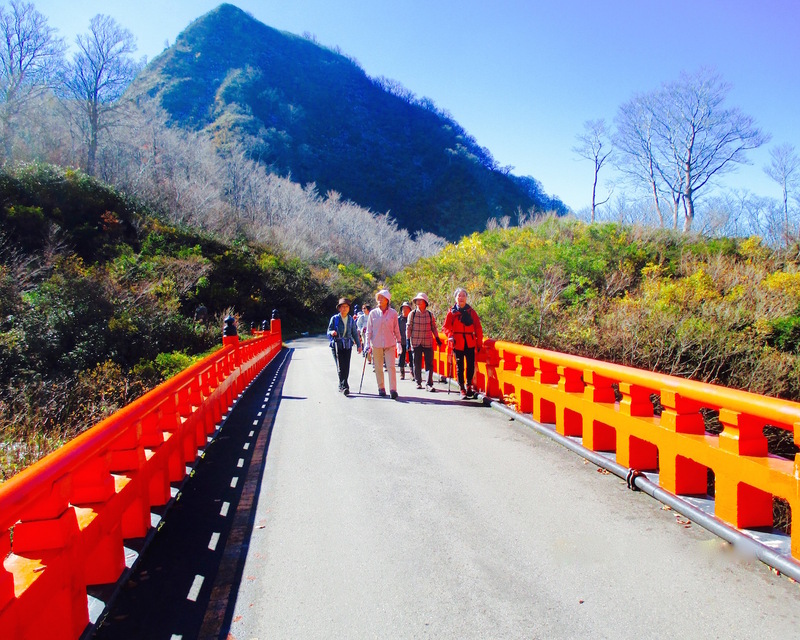 After being purified, making a prayer at the shrine alter, having a sip of sake and lighting a candle or sticks of incense, one is refreshed enough to continue their hike. 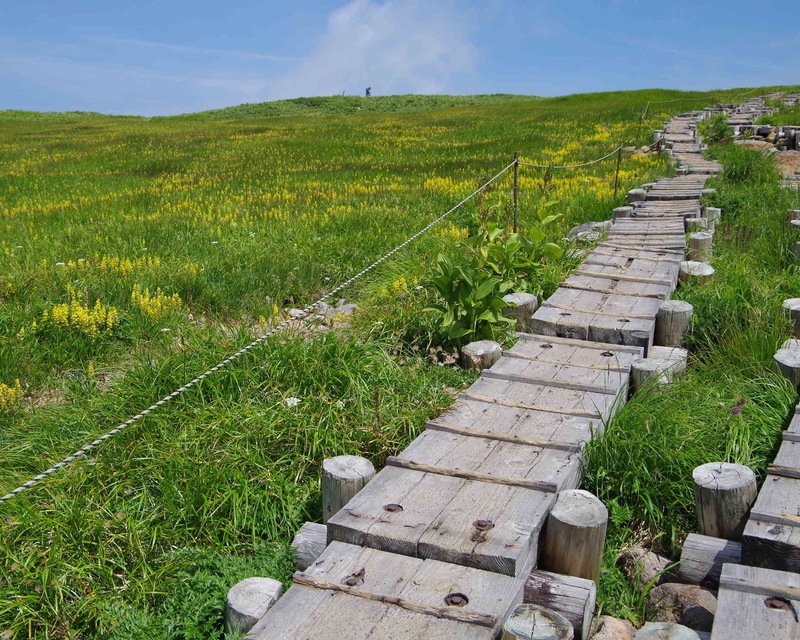 For visitors interested in seeing Gas-san and enjoying the mountain scenery, but not in hiking all the way to the summit, there is a circular hiking course starting and ending at the 8th station, which circles through some of the marsh and flower fields. This course only takes about 30 minutes and also offers nice views of the mountains. 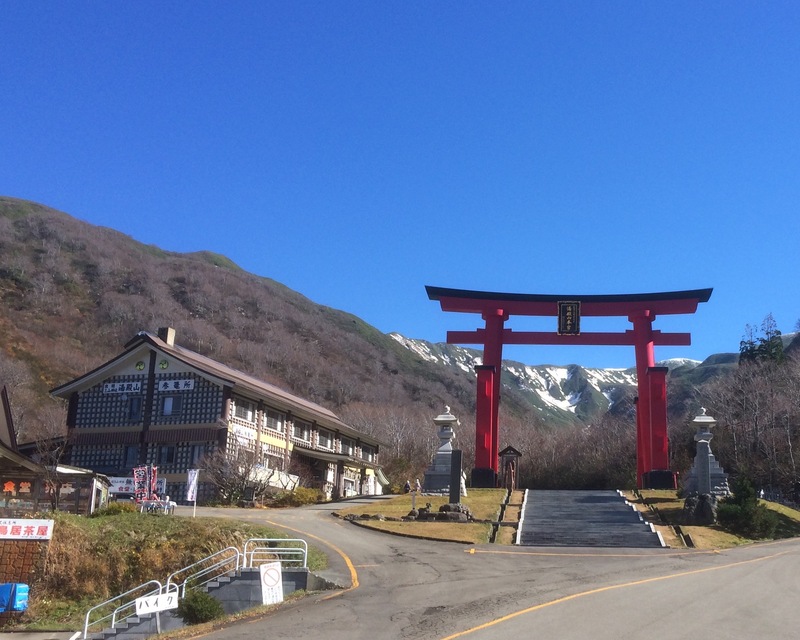 Yudono-san is one of the three mountains of Dewa Sanzan, and its shrine is considered to be a kind of inner sanctum. In fact, Yudono-san is so sacred that one is neither to talk nor hear of what happens inside the shrine. 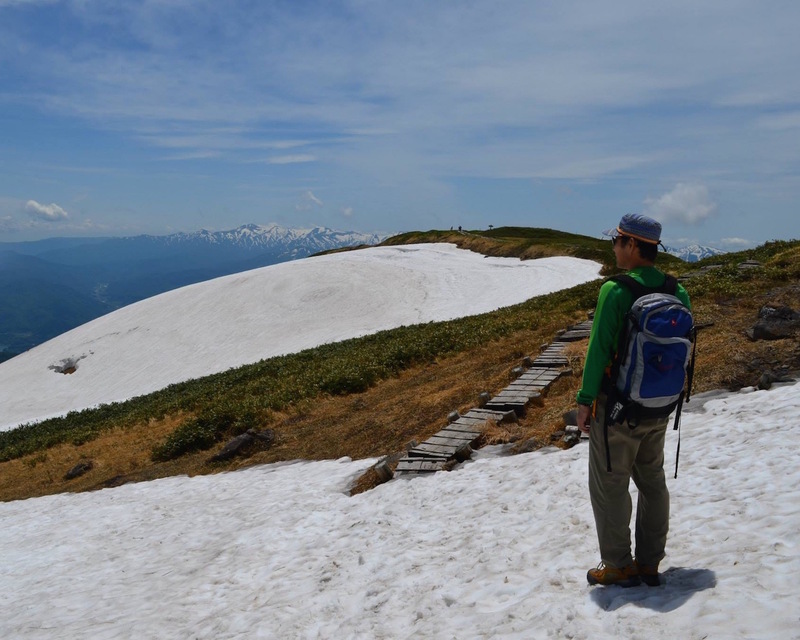 Despite its secrecy and mystery, Yudono-san is relatively easily accessible via a toll road. 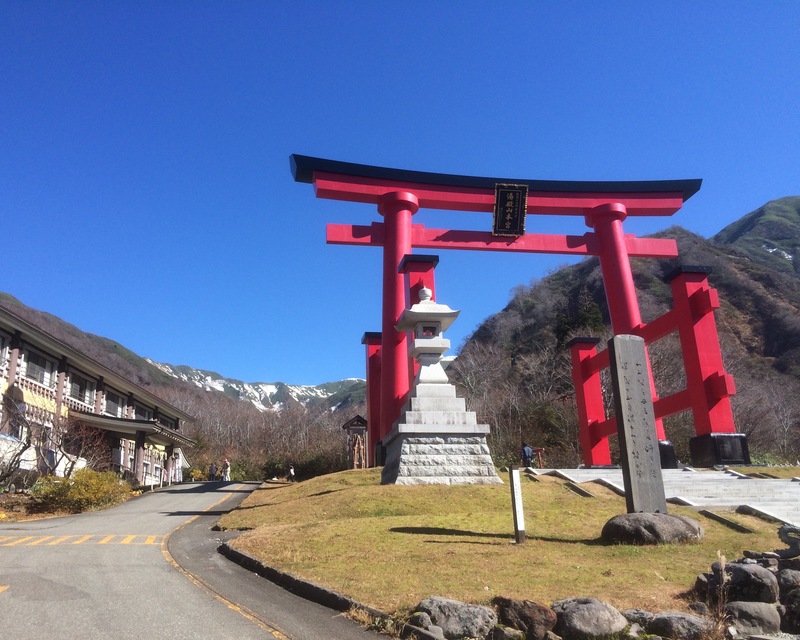 Located in a valley below the summit, the shrine is only 200 meters from the parking lot. 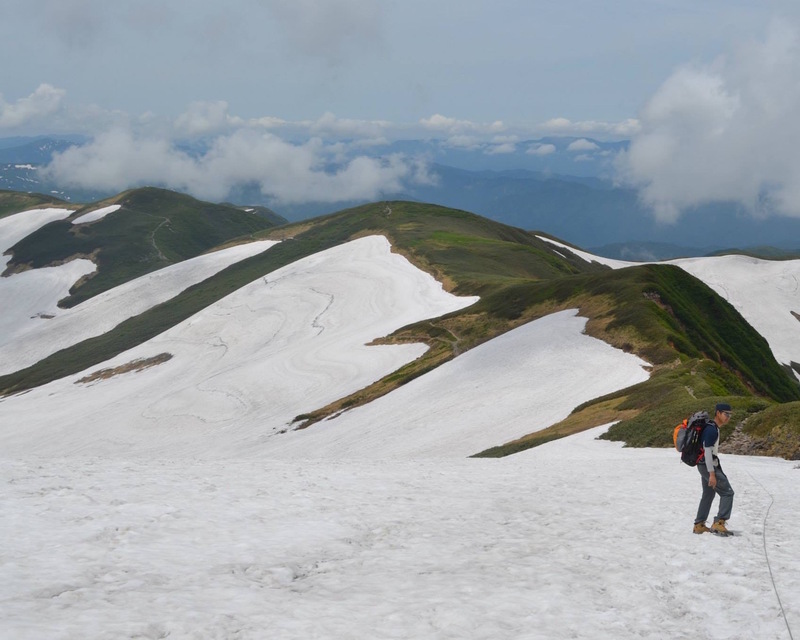 The traditional approach, however, is more challenging, consisting of a descent via a steep hiking trail from the summit of Gas-san. Yudono-san's shrine maintains a strict ban on photography. Visitors must walk a short final portion of stoned pathway from the bus stop to enter the shrine itself, where they are asked to remove their shoes to begin purification rites in their bare feet. Rather than divulge any more of Yudono-san's secret interior, we recommend travelers make their own visit to this impressive shrine. Like Gas-san, Yudono-san closes during the winter months, although it is still feasible to visit in poor weather thanks to its road access. Because Yudono-san is the mountain symbolizing rebirth, it is typically the final Dewa Sanzan shrine visited by pilgrims after Haguro-san (birth) and Gas-san(death).